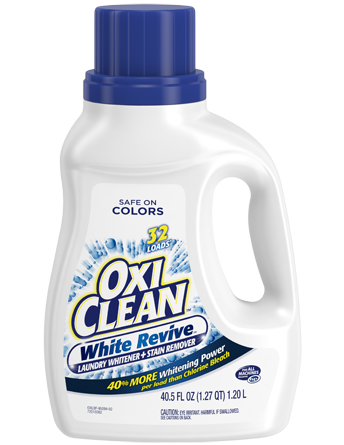 Devuelve la blancura radiante a tu ropa con OxiClean™ White Revive™. Blanquea la ropa blanca 40% mejor que el cloro sin el olor fuerte del cloro y además es confiable en la ropa de color. 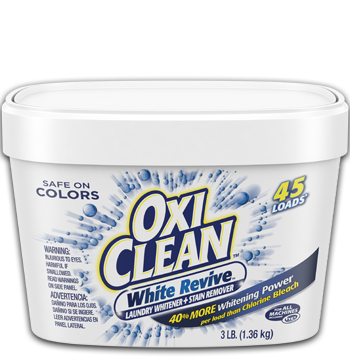 Ahora puedes mantener y revivir tu ropa blanca percudida – dejándola como nueva por más tiempo con el OxiClean™ White Revive™ Liquid. 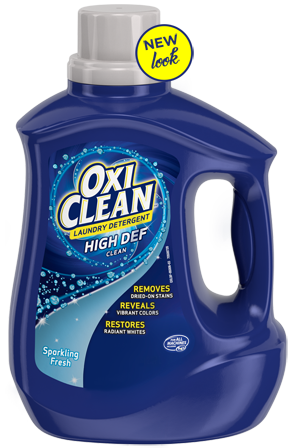 ¿Qué tal te funcionó el OxiClean™ White Revive™ Liquid? I have 2 boys in baseball and they have to wear white pants and white hats. 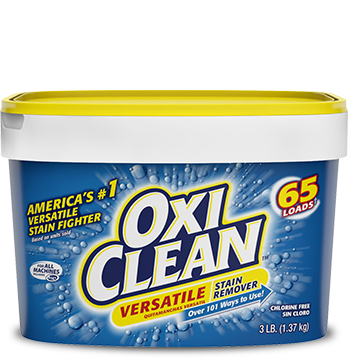 I found the oxiclean white revive powder and was amazed at how clean it gets their uniforms! 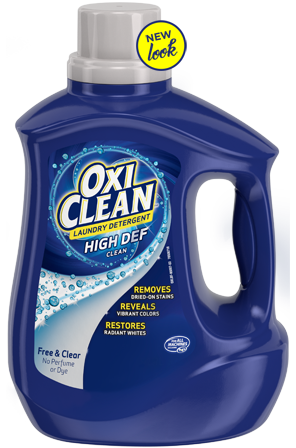 I went to buy more and the powder was all gone so I had to buy the liquid. I was absolutely shocked and thrilled at how much better the liquid is than the powder!! My boys baseball pants and hats look brand new all season long!! 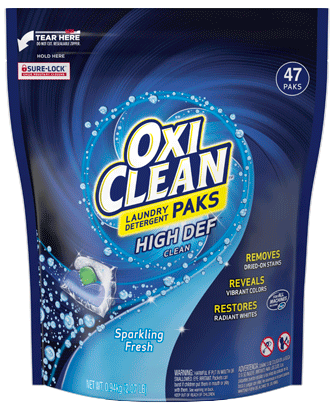 Thank you for this amazing product that makes my life so much easier!! Attached is a photo of one of my sons baseball hats before cleaning, during, and after. 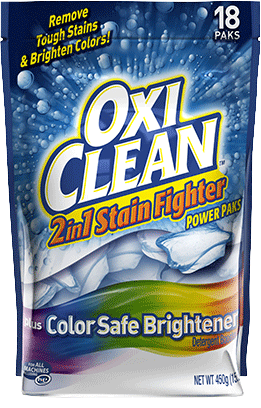 I am impressed every time I use oxiclean white revive! I don't know what happens in my washer but I notice that over time my whites get weird dark spots on them. 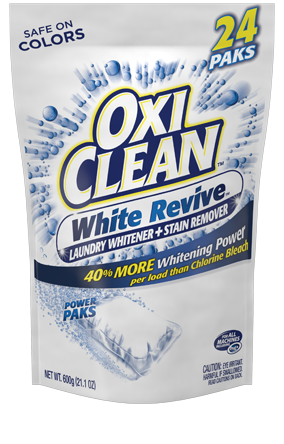 When I was asked to try out a free Oxiclean White Revive I gathered up all the whites I kept but never wore and soaked them. They turned out much better than I expected. Some of the spots were gone, some only faded but were barely noticeable. 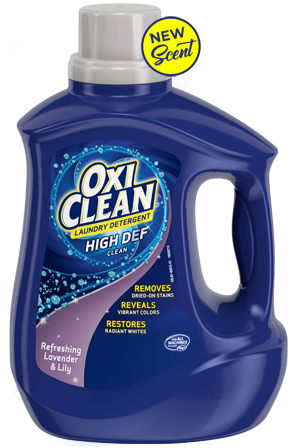 I recommend this to anyone who complains about greying or stains. 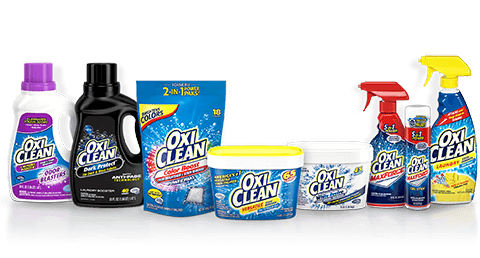 ¡Ahorra en tu próxima compra de productos OxiClean™!